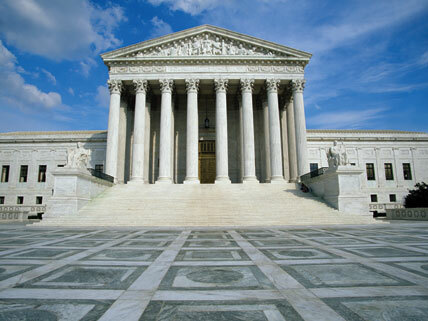 Since the U.S. Supreme Court’s decisions in District of Columbia v. Heller (2008) and McDonald v. City of Chicago (2010), which recognized a constitutional right of individuals to keep and bear arms, cases have arisen challenging lower courts to iron out the “who, what, where, when, and why” of this Second Amendment protection. Lower courts’ opinions have not all gone in the same direction, and one result of this conflicting jurisprudence is that the issue is likely to again come before the High Court. The case of Peruta v. County of San Diego, which clearly recognizes the individual’s right to bear firearms for self-defense in public, may end up leading the way. Since Heller, debates over the meaning of the Second Amendment have moved on to questions of how the individual right can be exercised. One matter in contention is how the right to keep and bear arms extends beyond the home. Another is whether, in public, a firearm can be carried openly or must be concealed in some way. In McDonald, the Court held that states and local governments must not infringe Americans’ Second Amendment right. Therefore, various gun-control laws across the nation are now under scrutiny (the law overturned in Heller had been on the books for 32 years). Peruta involves a challenge to the San Diego County Sheriff’s policy applying a California statute that requires a person to show “good cause” in order to be armed in public. The sheriff’s policy basically disallowed self-defense as an adequate reason. The effect of the policy was essentially to ban most law-abiding citizens from carrying a (concealed) firearm outside the home at all. This pro–gun rights article discusses the California “right to carry” case that recognizes the right to bear firearms for self-defense in public; includes an audio link to the oral arguments that won the day. This article reviews the Ninth Circuit’s Peruta ruling and related cases in other states. This blog post by a UCLA law professor tracks the course of the Peruta case as it heads for an “en banc” rehearing by an 11-judge panel, as well as other, similar cases. Read the full Peruta decision by the United States Court of Appeals, Ninth Circuit, here.